Donavan Bailey Entertainment Level | Portfolio Projects | Fleur-de-lis Interior Design Inc.
Let the games begin! 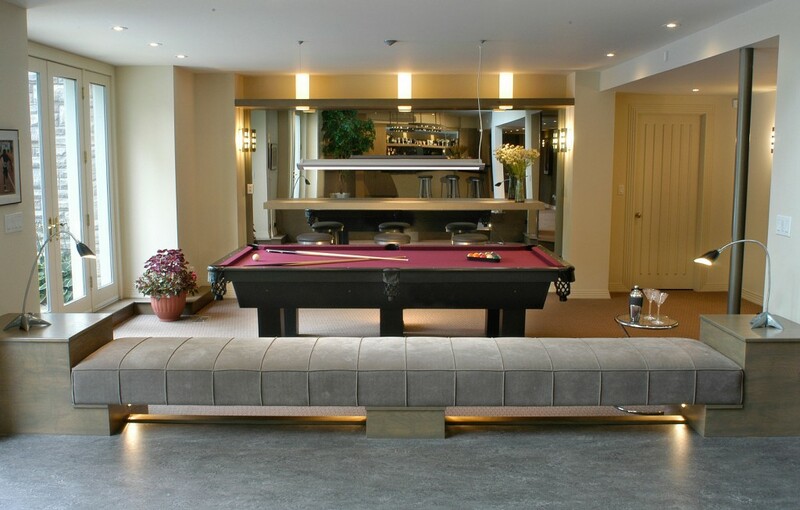 Sport's icon Donovan Bailey relaxes in this lower level 'boy's club' space. 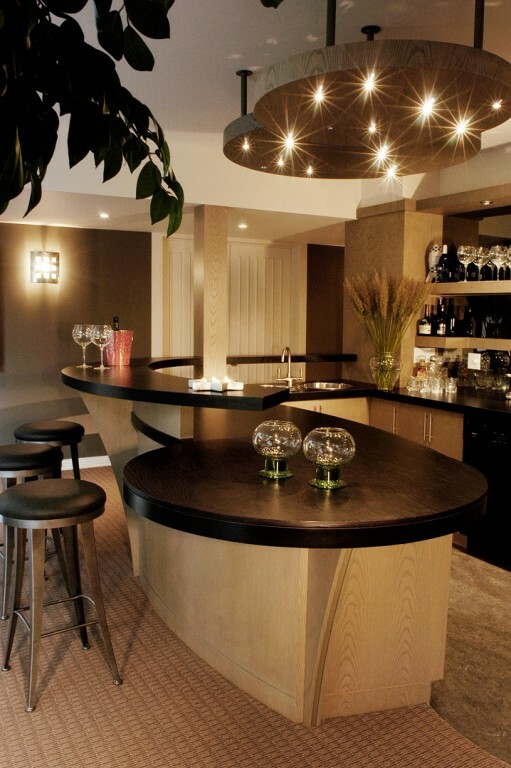 The custom bar in black and taupe ash is a yin/yang of curved forms. Round suspended panels with micro star lights add cloud-like whimsy. 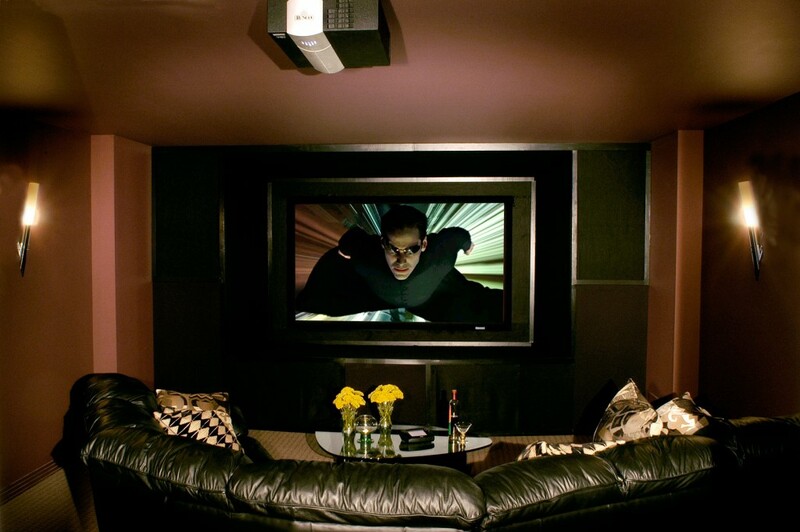 Black leather sectional invites guests to enjoy high tech theatre space. 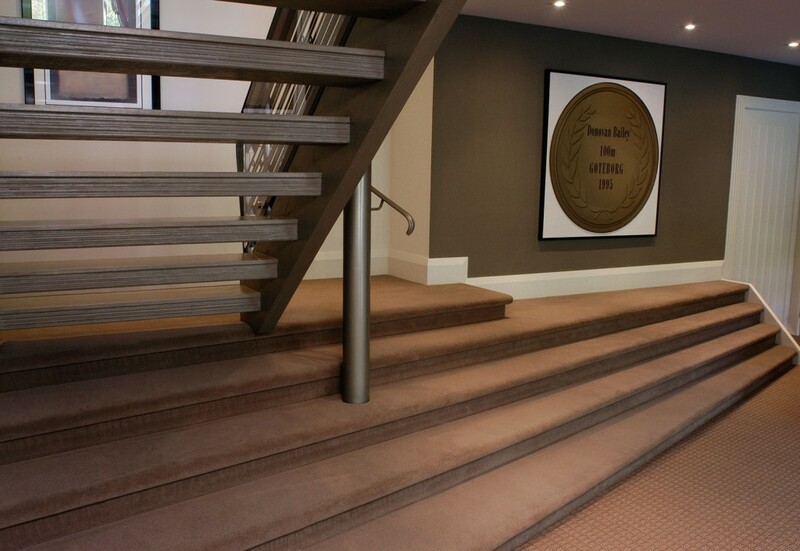 Long linear angled steps add strong architectural character to introduce the space.